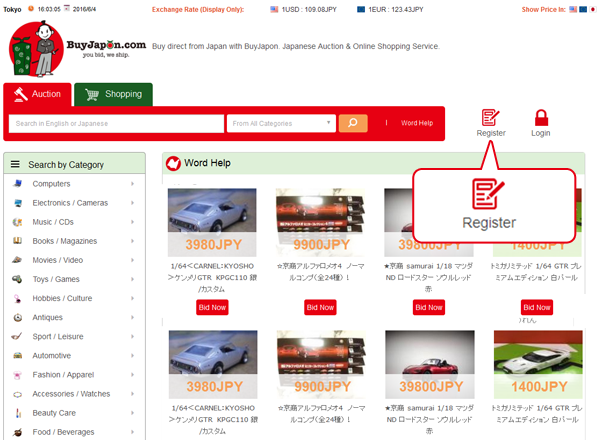 Registering on BuyJapon.com is free! Make your own account today! Click on the Free Registration Banner and complete the User Registration Form. Then you will receive an email to activate your account. 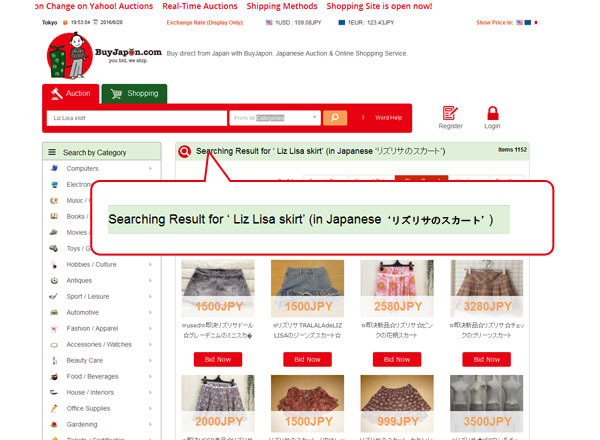 1Put the words in English as "Liz Lisa skirt" or Japanese. 4If you are not sure the word, you can use the dictionary here. In the searching results, you can find the searching words in Japanese. 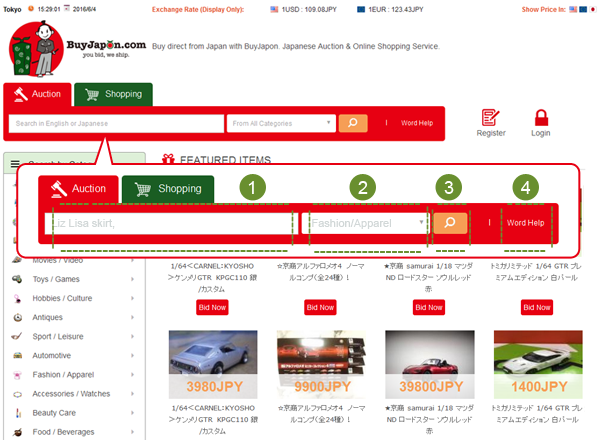 Copy them and paste it in the Searching Window, you may get more results, because you have searched in Japanese actually!. If you dont find any results, you can use Word Help as well. 1By clicking on リズリサ (Liz Lisa), you can get Liz Lisas from all Category. 2Click on a picture of any skirts. 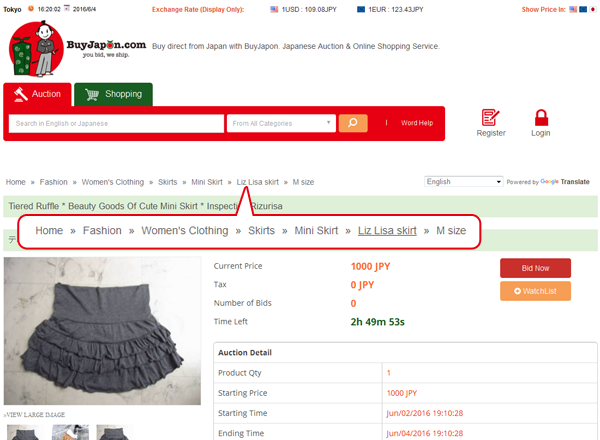 Then click on the link of "skirt" on the item..
3Finally you can get 100s of Liz Lisa skirts. Deposit and place your bid on what you want to have. 1 If you want to have it as small budget as possible, click on "Bid Now" and enter your maximum bidding budget. 2If you like to purchase it, click on "Buy It Now". Then place your bid! In case your deposit balance cannot afford the bidding amount,you will be asked to make a deposit process. Make sure enough deposit balance is remained in your account. 1. 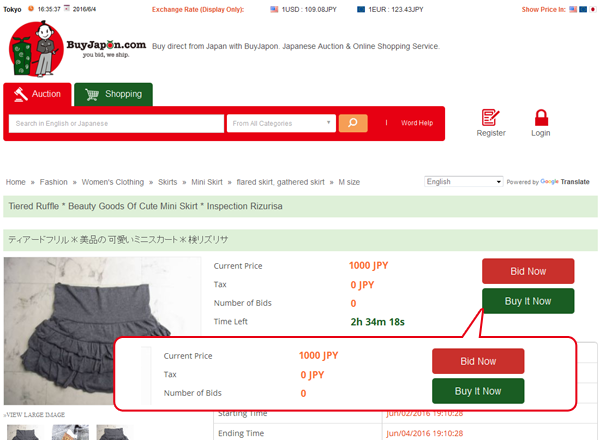 If you win the auction, our system debits the Commission Fee, Bank Fee, Domestic Delivery Charge and BuyJapon.com processes shipping with the seller. 2. 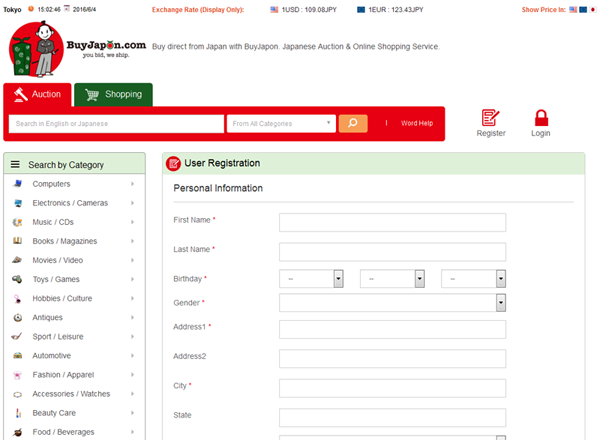 When the item arrives at Buyjapon, we inspect and update the Status to "Ready to Ship". 3. 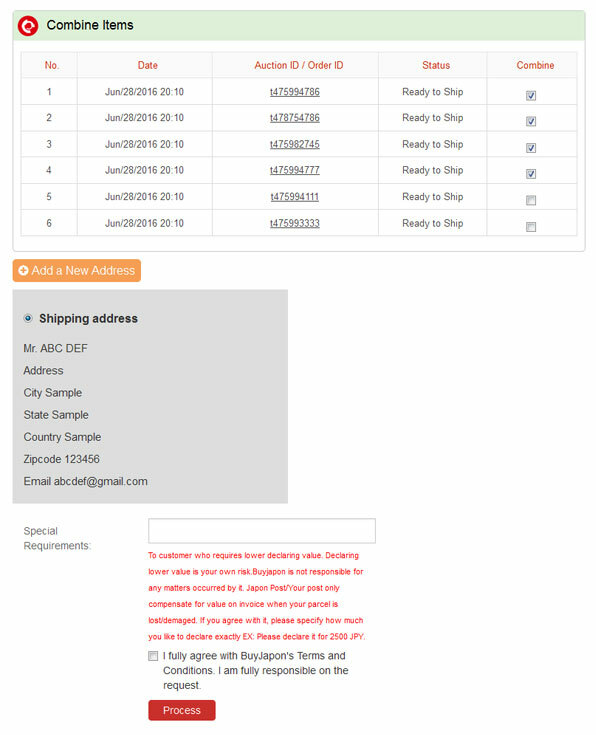 You can combine as many "Ready to Ship" items as you would like to. 4. 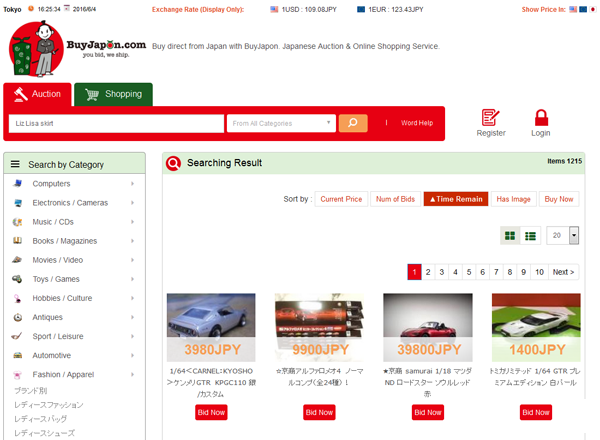 Buyjapon packs the items accrodingly. 5. 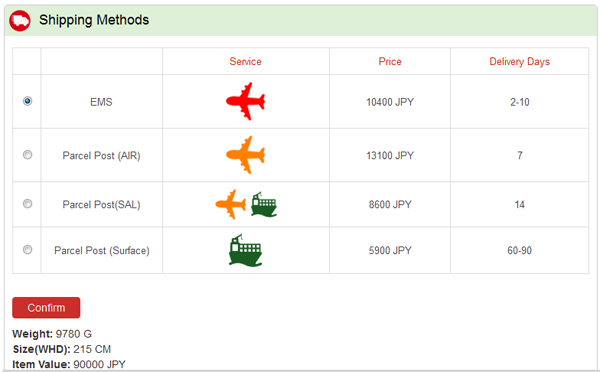 You can choose a shipping method for the parcel and pay for it.